NBC asks: How many of these figure skating movies have you seen? 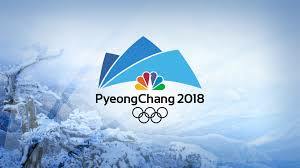 NBC’s Olympic coverage shows some love for Kiss and Cry! Kiss and Cry (2016) The true story of Carley Allison, who was an up-and-coming figure skater when she was diagnosed with an extremely rare, 1 in 3.5 billion form of terminal throat cancer. She defiantly fights the disease while she has the unwavering support of her boyfriend and family in a real-life Fault in Our Stars story. The actress who plays Carley (Sarah Fisher) was her real-life best friend.